Foreign nationals may be inadmissible to Canada for various reasons even if they hold a visa or have obtained permanent residence. The most common ground for inadmissibility is on Criminality grounds, where the foreign national has been convicted of a crime either inside or outside of Canada. Most criminal convictions will result in inadmissibility to Canada, even if they are relatively minor offences such as driving while impaired or shoplifting. 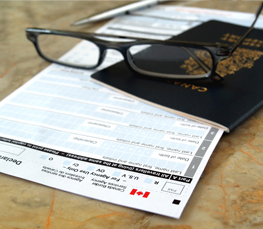 Other types of inadmissibility including Misrepresentation before the immigration authorities, Medical Inadmissibility on the basis of contagious diseases or health conditions that might impose a burden on the Canadian medical system, Failure to Comply with immigration laws, for Financial Reasons where a visa applicant cannot support themselves, and on Security grounds. Determinations of inadmissibility may be made in various contexts, for example at a port-of-entry such as an airport when a foreign national attempts to enter Canada, or at a visa post where a foreign national applies for a visa, or in Canada where a foreign national has entered with a visa or has obtained permanent residence. Determinations may be made by immigration officers or in some case, by the Immigration Division of the Immigration and Refugee Board. Where the immigration authorities have information to suggest that a foreign national or permanent resident is inadmissible, they can prepare a report setting out their allegations for consideration by the Immigration Division of the Immigration and Refugee Board. The Immigration Division will conduct a hearing where the foreign national or permanent resident will be present and can defend themselves from the allegations. If the Immigration Division finds that the person concerned is inadmissible, they will issue a removal order against that person. Permanent residents have the right to appeal determinations of the Immigration Division to the Immigration Appeal Division in some instances. Otherwise, determinations of the Immigration Division can be appealed to the Federal Court. Prior to the referral of an inadmissibility report to the Immigration Division, the immigration authorities will in some instances convoke an interview with the foreign national or permanent resident to decide whether they wish to proceed with the allegations or if there are mitigating circumstances such that the allegations should not be pursued. This will usually occur in cases where permanent residents are the subject of the potential inadmissibility proceedings. In such cases the permanent resident or foreign national will usually attend an interview with a Canada Border Services Agency officer, or be requested to provide information in writing for consideration by an officer. If the immigration authorities choose not to proceed with the inadmissibility allegations, they will issue a letter to that effect. Otherwise, they will refer the case for an admissibility hearing. In some cases the immigration authorities can make a determination on inadmissibility by themselves without referring the case to the Immigration Division. In these instances the allegations will be reviewed by a senior officer who will make the decision whether or not to issue a removal order. Matthew Jeffery Law Office has years of experience assisting clients in the full range of inadmissibility matters. If you require assistance with your case, please contact us for further information. Foreign nationals who are criminally inadmissible to Canada can sometimes qualify for rehabilitation, which means that the criminal offence is no longer considered to be a basis for inadmissibility. In some cases foreign nationals will be deemed rehabilitated without having to make any specific request for rehabilitation. Deemed rehabilitation applies to those who were convicted of no more than one criminal offence that would be indictable if committed in Canada if 10 years have gone by since the time the sentence was completed, provided that the offence is punishable for less than a maximum term of 10 years imprisonment. If the criminal conviction is for one or more offences that would be summary convictions in Canada, then the rehabilitation period is 5 years. Where a person convicted of a crime does not qualify for deemed rehabilitation, they can still make an application for rehabilitation where 5 years have passed since they completed the sentence imposed for the criminal conviction. An application for rehabilitation requires the submission of a paper application supported by documentary evidence to the immigration authorities for their consideration. The application will be reviewed by an officer who will make a determination as to whether or not the applicant should be considered rehabilitated. Factors that the officer will consider include the seriousness of the criminal offence and the behavior of the applicant subsequent to the offence. If the officer is of the opinion that the applicant poses little risk of re-offending if admitted to Canada, then the officer can approve the application. If you believe that you may be qualified to apply for Rehabilitation and would like assistance with your case, please contact us for further information. If a foreign national convicted of a criminal offence does not qualify for rehabilitation, they can still apply for a Temporary Resident Permit (TRP) if they have a compelling reason why they need to enter Canada for a short time. TRP’s are usually issued for a short period of weeks or months, but in some cases may be issued for up to one year, at the discretion of the issuing officer. They allow those who are criminally inadmissible to enter Canada temporarily if they have some good reason for wanting to do so, and the immigration authorities assess them as being of low risk of re-offending while in Canada. Similarly to Rehabilitation applications, officers will assess the seriousness of the crime and the behavior of the applicant since the criminal offence was committed to determine whether they believe it is safe to admit the applicant to Canada. TRP’s may be applied for through a Canadian visa office outside Canada, and may also be applied for at the port-of-entry, including at the airport or land border between Canada and the United States. It should be noted that TRP’s may be issued to those who are inadmissible to Canada for other reasons than criminal inadmissibility. A TRP can be issued to admit into Canada anyone who would ordinarily not be eligible for a visa or is otherwise unauthorized to enter or to remain in the country, provided that there is some compelling reason why the TRP should be granted. If you need to enter or remain in Canada for a temporary permit even though you are inadmissible, please contact us so that we can discuss your options. A further recourse for those who are inadmissible or otherwise do not qualify for a visa under the regular immigration categories, is to apply for an exemption to the criteria of the immigration laws on Humanitarian and Compassionate (H&C) grounds. The immigration authorities have the discretion to waive just about any criteria of the immigration laws if they believe there are sufficiently strong H&C grounds to justify it. H&C applications are usually made by people in Canada who have lost their status or are for some reason inadmissible. Examples are long-term illegals who came to Canada as visitors then never left, or failed refugee claimants who remained in Canada after their case was refused. These people and others like them can apply to regularize their status in Canada by applying for permanent residence on H&C grounds. This is a type of paper application to the immigration authorities that will be considered by an immigration officer. Factors that an officer will consider is whether there are compelling circumstances beyond the applicant’s control that led to the breach of the immigration laws or inadmissibility, and whether it would cause unusual, undeserved, and disproportionate hardship to the applicant if the application were denied. If the reviewing officer approves the H&C application, they can waive most kinds of inadmissibility and grant status to the applicant, including permanent resident status. If you are interested in making an application on Humanitarian and Compassionate grounds, please contact us for further information.